Rockets travelled up north for a re-arranged league game with sickness in the camp. Head Coach Manuel Pena Garces left developing star Alex Drincic back home and added Adrian Nosa to his line up but Sydney Donaldson travelled in the hope the influential guard may have recovered enough to play a small part. Garces started him but after just 2 minutes Donaldson’s energy was exhausted and he remained on the bench. Such a loss for Rockets was matched only by grins form the opposition bench. 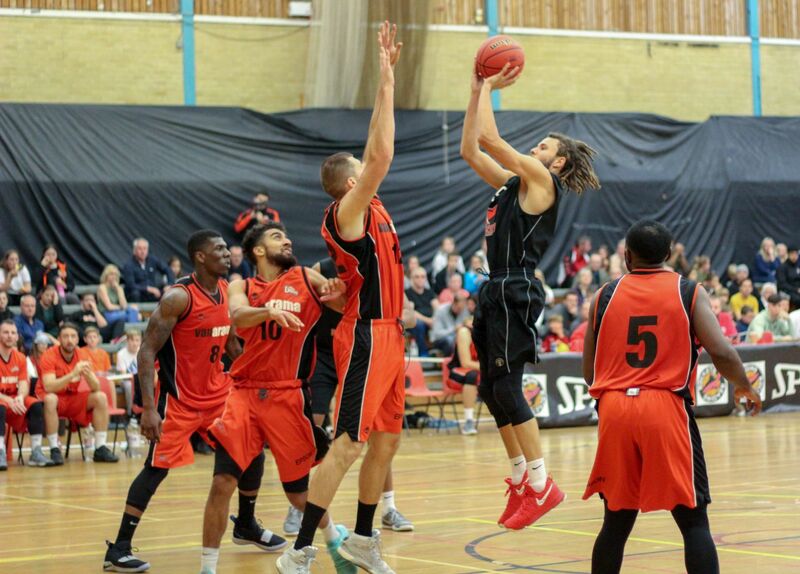 Dragons though are the only team to have beaten the league leaders Loughborough this season and another title contender Hemel Storm, so Rockets knew this was going to be a tough game even with a fully fit squad. Having defeated the Yorkshire side 95-74 just 4 weeks ago, Rockets were right to be confident on the journey north but it was clear from the tip that Dragons Head Coach Chris Mellor had stirred up his team as well as studied that game tape and had prepared well after a pair of defeats on the road the previous week. Donaldson’s only contribution was Rockets first score off the glass as the opening exchanges saw the lead change hands with regularity until Dragons went on a 10-2 run to lead 19-6. Tim Gill again worked hard inside scoring 9 personal points and his fellow American Scotty Hendricks hit Rockets sole treble at the end of the first quarter to keep Rockets in contention even though adrift by 18-23. The 5 point deficit was increased to 7 at the interval thanks to three trebles and some fine team play by an in-form Dragons where everything was dropping and their defence strong. Ed Potter took a couple of big defensive rebounds and Ali Sbai opened his account with a lay-up before Jonny Foulds took down and offensive rebound, scored and drew the penalty stroke which he converted. But still the home side were shooting extremely well whilst Rockets percentage was just very low at just over 30. Dragons experienced duo of Sulcs and Hetske were prominent at their very best causing major headaches for Rockets at they trailed 39-46 at the break. A Dragons treble to get the scoreboard moving at the start of the third period saw Rockets with a double digit deficit which was worsened as Dragons went on a 10-0 run. Rockets needed their fire back and it came in the form of Declan Soukup and Jonny Foulds with trebles and Foulds being his usual brave guy by taking a charge and stopping a certain Dragons score. The 9-0 Rockets run raised the hopes of the travelling supporters and the bench but a missed Rockets lay-up was punished by a Dragons treble fining the hosts enjoying a 60-51 lead at the start of the final quarter. Despite being in foul trouble the Rockets fire had been ignited as they fought tenaciously to reduce the arrears to just 4 points at 57-61. A Hendricks block raised the game tempo and hopes but as they missed a treble, Dragons stroked one and with just over 4 minutes to go, Rockets trailed by 8. A Joel Keeble spin and a free throw from Hendricks kept Rockets in contention until Dragons converted 8 from 10 free throws in the last 3 minutes against another Soukup treble and a pair of penalty shots by Hendricks. With big man Gill fouled out midway through the final period, the ned game was going to be hard and that’s how it turned out, a depleted side with sickness in the camp was no match in the ned game against a confident home side playing well so Rockets had a long journey home but thankfully the snow didn’t start until they returned to the town in the early hours of Sunday morning. Rockets can now enjoy a longer break than anticipated with no game next weekend returning Tt Rivermead on the first weekend of the New Year with a double header against Lancashire Spinners and Newcastle University. Top scorers for Rockets were Scotty Hendricks with 19 pts, Tim Gill with 16 pts., and Declan Soukup with 10 pts. In the type of game you expect from two teams on winning streaks, this most competitive of games was brilliant for the spectators and showed why both teams are vying for league honours. 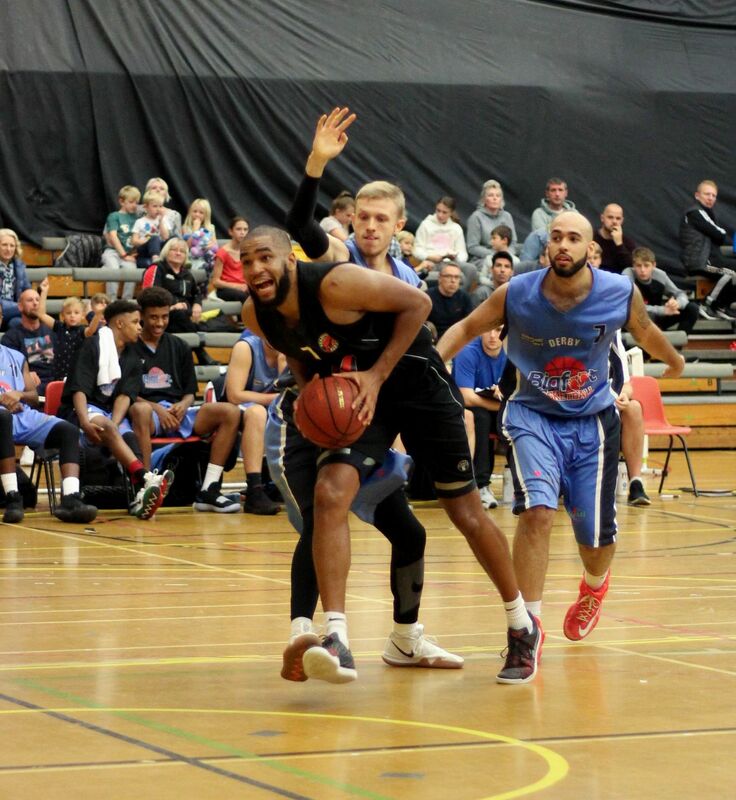 Having won their last 4 league games and reached the National Cup Final, Kestrels were confident on their home court despite losing to Rockets just before Christmas in Reading. Kestrels took the first quarter, Rockets opened up a double digit lead towards the latter part of the second period before the game was tied in the third but Rockets led by fifteen points midway through the final quarter to take another scalp and extend their victories to twelve consecutive ones. Solent scored from the tip and eased to a 15-8 lead before Head Coach Manuel Pena Garces took a time-out to re-organise his tactics and bring Rockets back into the game. This was mainly through the ever imposing captain Danny Carter who not only scored eleven of Rockets eighteen first quarter points but took down key rebounds, made a big block and led the team with confidence. Solent took the period 20-18 as they shot well and had a brace of trebles. The second period saw Rockets step up a gear as Paulin Jardim made a steal and strode the length of the court to score before Carter struck Rockets first treble of the evening to take the lead for the first time. Brilliant team play saw Carter pass quickly to Jardim who gave an assist to Chris Hooper to score the first of his ten personal points in this quarter. A Rockets fast break lifted the travelling Rockets supporters before Ibu Jassey Demba made the first of his slam dunk finishes and Hooper extended Rockets advantage to ten points. However a Solent treble and jump shot saw Rockets lead at the interval cut to five points at 44-39. Carter had scored 18 points and Hooper 13 before the break. Both coaches had used the interval wisely as both teams covered each other’s scores with effective shooting and strong defence. Carter and Hooper were again dominant as they scored nine and six points respectively but also took down key rebounds and stopped a number of Kestrels scoring chances. The game was tied on fifty three, sixty one and sixty three respectively but Craig Ponder ensured Rockets had a slender lead going into the final quarter at 65-63. Cometh the hour cometh the team and Rockets rose to take an excellent victory with Ponder as his most influential scoring eleven personal points but also controlling the pace of the game for Rockets. Ali Sbai took an assist from his captain to open Rockets scoring before an outstanding piece of defensive work by Jardim had his coaching team and team mates on and off court rising to show their appreciation. 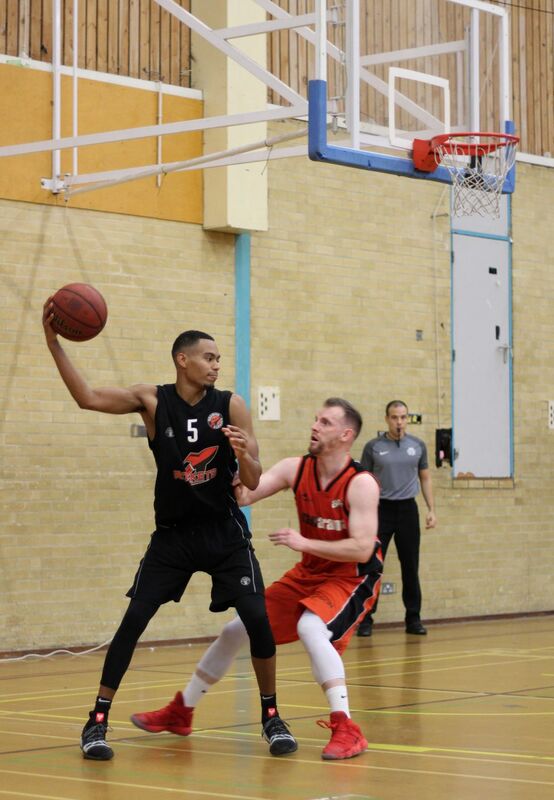 A big Carter stop and a Jassey Demba slam saw Rockets move ten ahead before Ponder struck a glorious pull up treble to see Rockets with a relatively comfortable fifteen point lead at 81-66. Kestrels hit a treble and made a steal and finish to ruffle Rockets feathers for a moment or two but a three pint play by Ponder and Carter safe from the free throw line gave Rockets win number twelve on the trot. Tomorrow ( Sunday ) sees Rockets at home to another title contender Bradford Dragons at Bohunt School, Arborfield tipping at 5 pm. Tops corers for Rockets were Danny Carter with 29 pts., Chris Hooper with 23 and Craig Ponder with 19 ( 11 in the final quarter ) but this was again a fine team effort as the Academy youngsters continue to grow and make telling contributions.